Mounts Between Aero Bars on XLAB Torpedo Mini Mount. Use XLAB Aqua-Shot Squeeze and Squirt none-drip Bottle. Perfect with XLAB AQUA-SHOT bottle for Sprint Tris or 20km TT's. 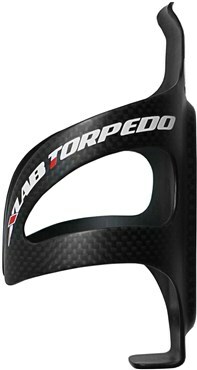 Add XLAB AERO TT bottle and cage for Olympic Tris or 40km TT's. Taking a drink from an XLAB AQUA-SHOT once every 15 minutes is faster than the drag (as much as 50 grams) from a 3/8 dia (10 mm.) straw for the whole bike split.